The phenomenal success of the iPhone and the iPod touch has ushered in a “gold rush” for developers, but with well over 100,000 apps in the highly competitive App Store, it has become increasingly difficult for new apps to stand out in the crowd. Achieving consumer awareness and sales longevity for your iPhone app requires a lot of organization and some strategic planning. This book will show you how to incorporate marketing and business savvy into every aspect of the design and development process, giving your app the best possible chance of succeeding in the App Store. 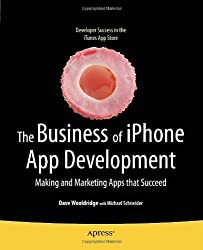 The Business of iPhone App Development was written by experienced developers with business backgrounds, taking you step-by-step through cost-effective marketing techniques that have proven successful for professional iPhone app creators—perfect for independent developers on shoestring budgets. 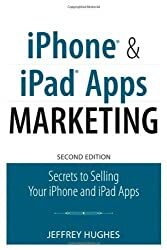 Although there are a few iPhone app marketing books on the horizon, they appear to tackle the subject from purely a marketer’s perspective. 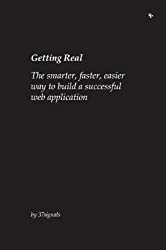 What makes this book unique is that it was written by developers for developers, showing you not only what to do, but also how to do it, complete with time-saving resources and ready-to-use code examples. No prior business knowledge is required. This is the book you wish you had read before you launched your first app! Transform your iPhone app into a powerful marketing tool with easy-to-use concepts and code examples. Analyze your ideas, research the competition, and identify your audience to evaluate sales potential. Protect your business and intellectual property and avoid potential legal hassles. Utilize several revenue-generating business models such as in-app advertising, affiliate programs, and In-App Purchase. Includes an extensive chapter on tapping into the Store Kit API. Build synergy with in-app cross-promotion and social networking. Improve usability and implement effective testing, plus a comprehensive walkthrough of provisioning and ad hoc distribution. Create a pre-release buzz online with Twitter, Facebook, blogs, and a dedicated web site promoting your iPhone app. Successfully navigate the App Store submission process. Execute a post-release marketing strategy by crafting effective press releases, soliciting app reviews, and leveraging the power of promotional sales and giveaways. This book is for any developer looking to build a successful business selling iPhone and iPod touch apps in Apple’s iTunes App Store. All the code examples included in this book can be downloaded from iPhoneBusinessBook.com. As the founder of Electric Butterfly, Dave Wooldridge has been developing award-winning web sites and software for 15 years. When he's not creating Mac and iPhone apps, he can be found writing. Dave is the author of The Business of iPhone App Development: Making and Marketing Apps that Succeed and has written numerous articles for leading tech publications, including a monthly software marketing column for MacTech Magazine. Follow Dave on Twitter @ebutterfly. At the beginning of 2009, Michael Schneider left Silicon Valley technology firm Wilson Sonsini Goodrich & Rosati to found HiveBrain Software. HiveBrain publishes a variety of applications on the iTunes App Store, the most notable of which, TouchType, peaked at #13 in the U.S. App Store. Michael continues to practice law under the name Bitwise Legal, focusing on software and interactive media clients. Notable clients include, Bungie and Innerfence. Follow Michael on Twitter @hivebrain.